Expanding access to quality education is a top priority and core principle for UFCW Canada. With universal access to education yet to be achieved in Canada, and the cost of post-secondary tuition continuing to rise, the United Food and Commercial Workers are committed to fighting for education justice and, at the same time, assisting members with tuition relief through a number of scholarship opportunities. 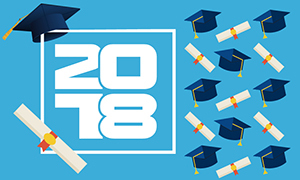 Every year, more than 25 scholarships, bursaries, awards and grants – totalling more than $300,000 – are available to UFCW Canada members and families. These scholarships, and how to apply for them, are listed below. In addition to the union scholarships, UFCW Canada members and families can earn university and college credits completely free of charge through the union’s online platform, webCampus. Restrictions: Open to UFCW 1400 members who work at Westfair Foods, Canada Safeway in Moosejaw, all security units, Great Western Brewing Co., and Brewers Distributor Ltd.